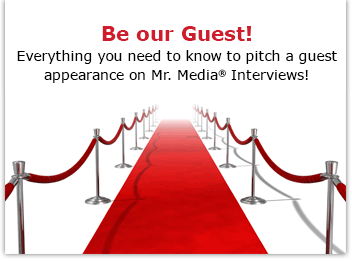 Watch this exclusive Mr. Media interview with John Hutton by clicking on the video player above! Mr. Media is recorded live before a studio audience full of former bankers who will never get their memoirs published if I have anything to say about it… in the NEW new media capital of the world… St. Petersburg, Florida! John Hutton and I have spent hundreds of hours together watching pre-teen girls. Don’t get the wrong idea – we’re soccer coaches. At least we were for many years. One day, standing on the sidelines – or maybe it was on a long bus ride for an away game – John started telling me about this book he was writing. It sounded very personal, with short essays about everything from being a fraternity brother at Wake Forest to following his father into banking and from the joys of volunteering to the mysteries of fatherhood. For years, I teased my friend about finishing his book so I could read it. It literally took years, but he surprised me one day and said it was done. Now I had to read it. A new problem: what if it was terrible? What if I hated it? How would I tell this man that I had come to think of as a brother that he couldn’t write? Sometimes, my friends, I worry too much. A Daily Dose of Innocence, as John calls it, is a delightful read, full of down-to-earth homilies, advice, good cheer, insight, and a spot of sadness here and there. It is remarkably reflective of my friend’s joie de vie and his ability to lift the spirits of anyone he meets. The book is faith-based without being preachy, which is a great part of its charm. Not only did I love the book but I decided to publish it myself under my new imprint, Mr. Media Books. I don’t know how I could recommend it any more strongly to you than that. Visit Mr. Media Books for more great new titles!